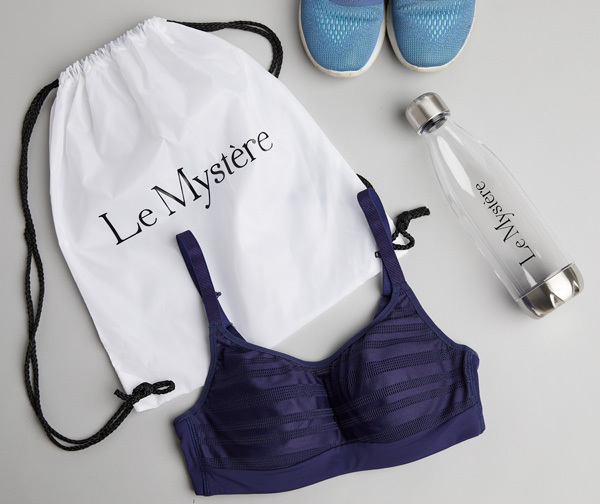 Build muscle and burn calories in style this season in Le Mystere’s Active Balance Sport Bra. Now in Midnight Blue, this versatile sport bra offers light compression and breathability with plunging cups that wick away moisture. A perfect combo of sheer, sport and leisure in one, this unique contour sport bra with hidden underwire, has the fit and look you’ve been wanting. Features plunging wickable cups draped in a unique decorative microfiber which provides light compression and breathability while providing a modern style edge. In Midnight Blue, Natural and Black. Sizes: 32-40, C-G Cup.